If you have ever transplanted young plants into your garden, you know all of the challenges of keeping those plants alive so they can develop into hardy, mature vegetable plants. 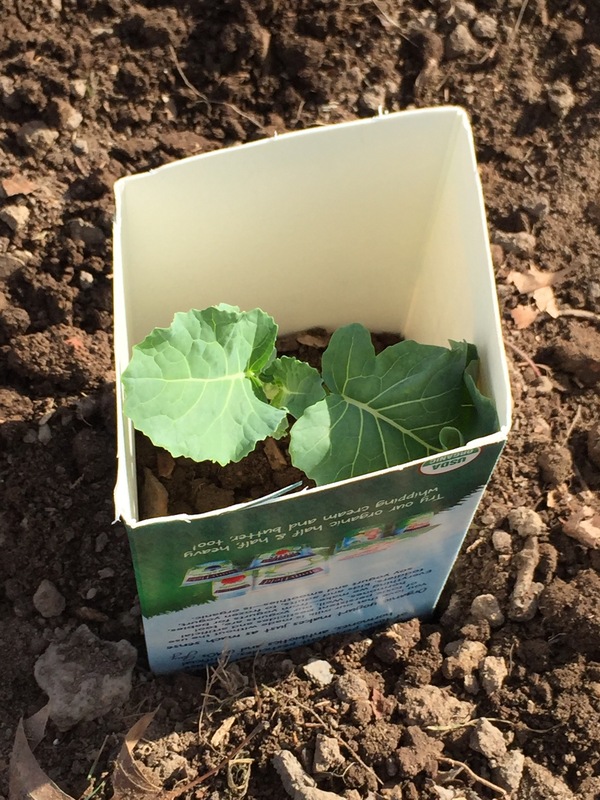 Over the years I have tried several ways of protecting the young plants, but the best method I’ve found so far is to simply place a milk carton around the plant. This was something my grandparents always did to protect their young plants until they were well established, and I have just not been able to find anything cheaper, or better, for serving this purpose. I collect cardboard milk cartons all year-long to use as protective shells for my transplants. I start by cutting the top and bottom off of the milk carton. Then, I wash the carton and allow it to air dry. Once they are dry, I place them in storage until its time to plant. Syrup from bark? What is this about? That was my first reaction when I came across a stand selling Shagbark Hickory Syrup at the Ned Smith Festival today. 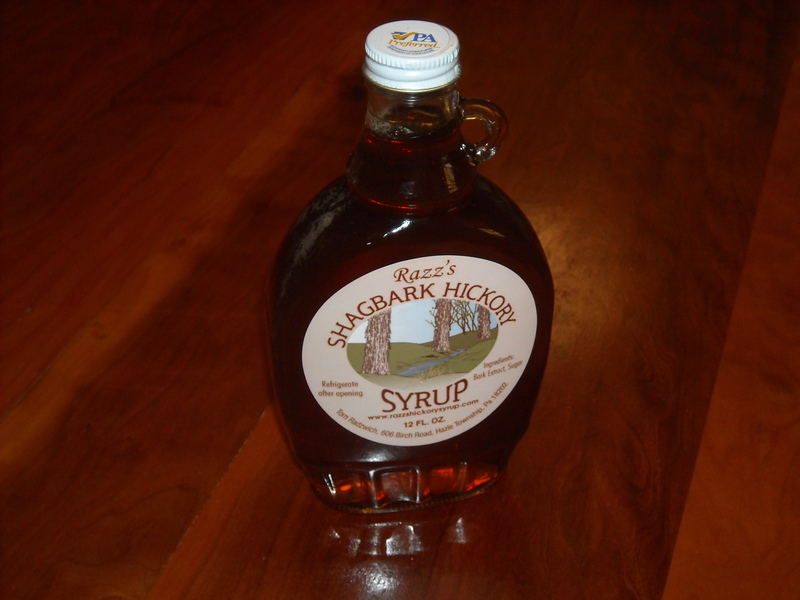 What I found was a small, local, husband and wife business that produced a sweet syrup from the bark of a Shagbark Hickory tree. Now they had my attention. The one thing always growing in our garden during the summer is basil. 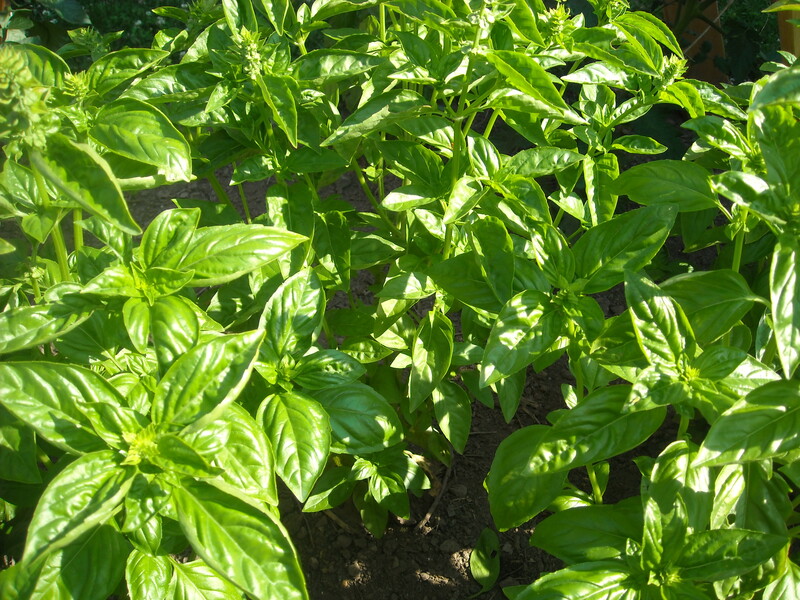 We grow several different varieties of basil; sweet, large leaf Italian, and genovese. One thing we like to do with all our basil is make pesto. Pesto can be used on a variety of things: pasta, burgers, tuna, sandwiches, etc. We make enough throughout the summer to keep us supplied until next summer. Today I took my first harvest from the garden. I harvested a few leaves of spinach and swiss chard from plants that I had started late last fall and kept under a cold frame all winter. The spinach was very sweet. In fact, I never before had spinach that tasted that sweet. 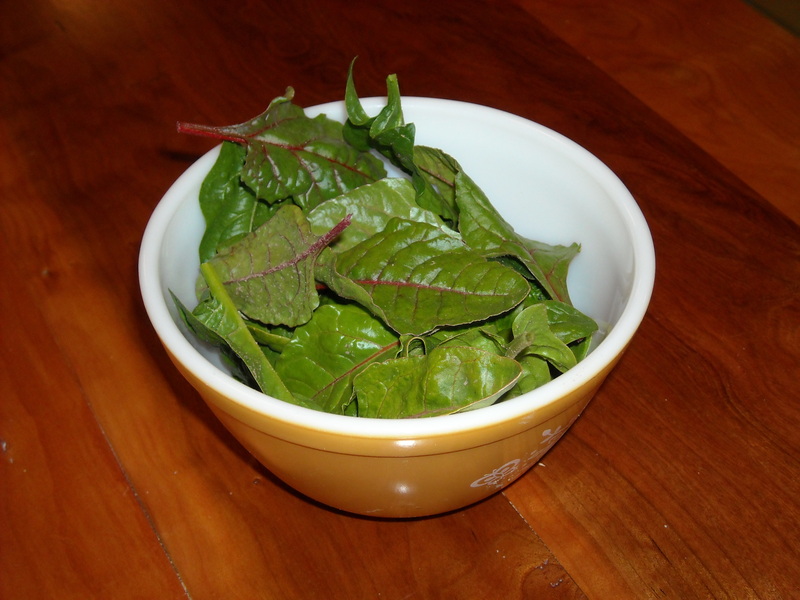 It is the Bloomsdale variety of spinach and it’s a keeper. The swiss chard was also very good. 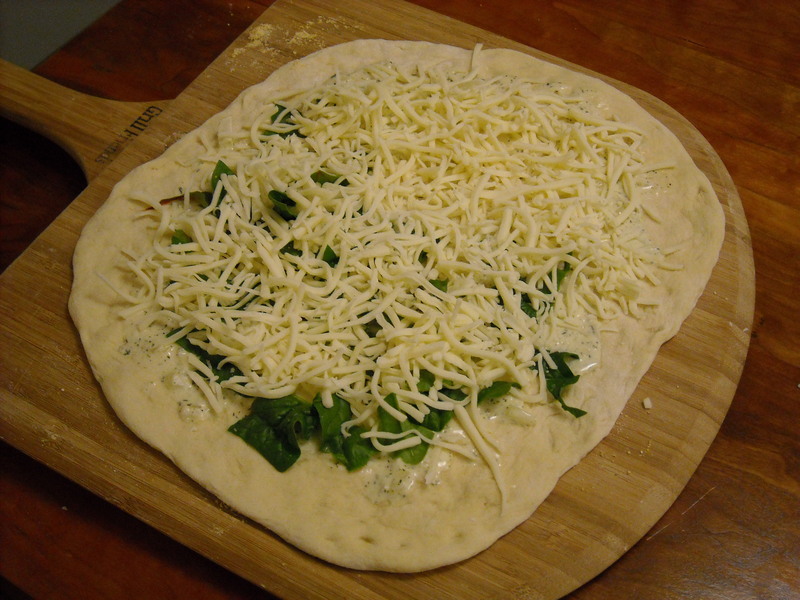 I had plans to make a homemade white pizza for dinner, so I decided to add a little spinach and swiss chard to the white pizza. What a great addition. I made a homemade white sauce for on the pizza with heavy cream, olive oil, onions, garlic, thyme, salt, and pepper. This was the first time I had made this sauce and it was great. 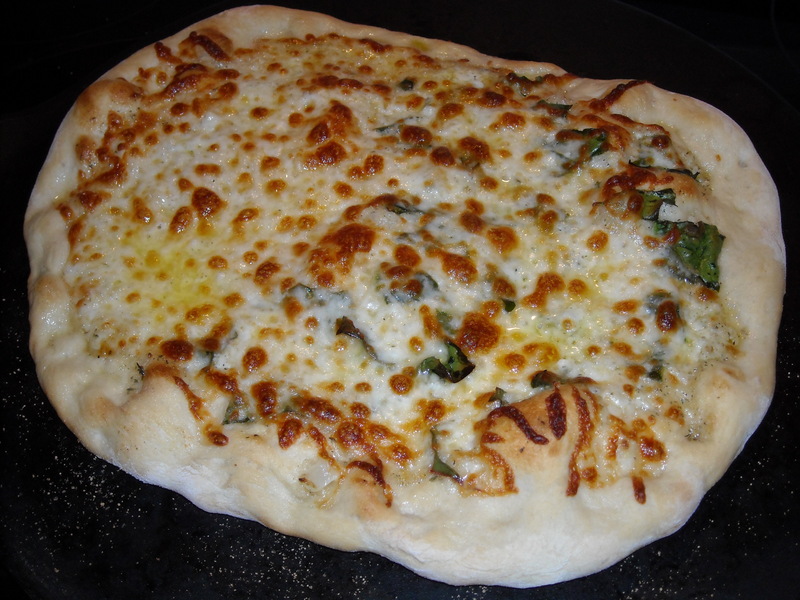 This was a great pizza, but then I never met a pizza I didn’t like.